Sometimes the things that get passed down to us are homes and sometimes we do not need the property. Here is what you need to know about selling an inherited home. 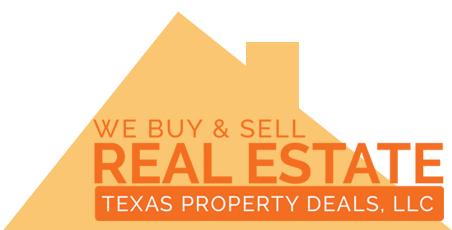 Selling an inherited house to Texas Property Deals, LLC is easy! Have you inherited a property that you don’t want or need? You’re not alone – baby boomers stand to inherit more than $27 trillion over the next four decades, part of which includes property. The logical solution is to sell the house – but that isn’t always as easy as you might expect if speed is important to you. When you sell inherited property, you need to ensure that you have all the right legal documents, that you’re aware of the tax laws you’ll need to follow, and that you have help from the right professional. Feeling overwhelmed? Don’t worry – this article covers everything you need to know when selling an inherited house. It sounds obvious, but is often overlooked: are you sure you have the right to sell this property? If the owner of the property left a clear will declaring you the heir, things should be pretty straightforward. However, if there’s no will, or a will that declares multiple heirs, things might be more complicated. It’s best to seek legal advice from a solicitor and keep communication open with all other heirs and potential heirs. When you sell a property that you’ve been living in for several years, you’ll normally qualify for the home tax sale exclusion. If you’ve sold a home before, you’ll probably be familiar with this. However, this tax exclusion won’t apply when selling an inherited property, and you should include this in your calculations when deciding how much to sell the property for. Being aware of this from the start means you won’t get any nasty surprises. Selling an inherited property is a taxable event, and you’ll need to report it even if you don’t expect to pay any tax. You’ll benefit from a stepped-up tax basis, meaning that the tax you pay will be based on the fair market value at the time of the owner’s death. That means that if the value of the house has appreciated dramatically, you won’t be hit with a huge tax bill. This means you might not have to rush to sell as quickly as you thought you would. Whether you expect to pay a lot of tax or very little, be aware that you always have to report your sale. Inheritance tax and estate tax are complex, and the nuances of the law vary from state to state. It’s not worth making an expensive error that will cost you down the line, so make sure you always seek advice from an experienced lawyer in your state. The money you spend on legal advice is well worth the peace of mind and security it will provide. If you’re selling an inherited house and you don’t know what to do, it’s smart to get expert advice. Look for a lawyer who’s got plenty of experience dealing with inheritance and estate law, and set up a meeting – you’ll be glad you did. If you’re ready to sell the house, contact us today.